During the first part of the term Dr Ballard will cover basic addition, subtraction, multiplication and division. All Neopets will be required to know their times tables by the end of half-term. The lessons will become more challenging during the latter course of the term when Dr Ballard progresses to formula and shape. The first part of the term will be spent learning about weights and measurement. There will be a field trip to Meri Acres Farm where your Neopet will learn about petpets and crops, in particular potato and turnip farming. After half-term there will be a school science competition where one lucky student can win their own microscope. Students will be expected to bring their own supplies to Mrs Owens class. Any student without a pencil and paper will be sent home immediately. The entire term will cover sentence structure and the use of nouns, adjectives, adverbs, conjunctions, prepositions and pronouns. In this class students will learn about the use of shape and colour. The term will start with finger painting and progress on to charcoal sketches and pencil drawing by the end of half-term. The second half of the term will explore the use of textiles and clay. There will also be a school art competition with Neopoint prizes. This class is designed to teach students common spelling mistakes and how to avoid them. Simple rhymes and ditties will be taught so your Neopet will be able to spell almost anything correctly if they just try hard enough. 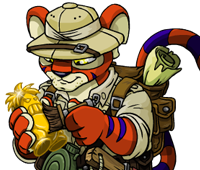 One of our most advanced classes this term, Mr Leer will be taking your Neopet through the basic components of spells and where to find the ingredients. One third of this class will be spent doing practical experiments, the purchase of an apron is recommended. In the second half of the term there will be a guest lesson taught by the legendary Kauvara! Miss Stryke will teach your Neopet a variety of sports designed to promote ball skills, balance, proper breathing techniques and team spirit. There is a ski trip to terror mountain planned during the latter part of the term. Next term Miss Stryke will be teaching Basic Geography also. This class is aimed to give a brief overview of life in early Neopia. Where did Neopets get food before the shops existed? What did the first houses look like? When did Neopoints get introduced?